As a swimmer with Ehlers-Danlos Syndrome, I have been lucky enough to compete against disabled swimmers, but cannot participate in Paralympic-sanctioned competitions. I have a few days to decide whether I want to attend a nearby Paralympic swim meet and attempt to be classified, the process by which disabled athletes are sorted into “classes” by impairment type or level so that disabled athletes compete fairly against peers of similar ability. After my first classification panel ruled me ineligible in 2012, I only have one more shot: if I am considered not eligible again, I am locked out of the sport forever, left in a limbo where I am too disabled to compete against able swimmers and prohibited from competing against my peers. For an athlete who thrives on competition, it is a terrifying gamble. At issue is the nature of my disability. My primary disability is Ehlers-Danlos Syndrome, which causes hypermobility and joint instability, as well as significant pain. I’ve experienced many joint dislocations, some of which have left me with permanent mobility impairment. I use a wheelchair, cannot bear weight into my legs reliably, and can’t get enough independent leg movement to perform flutter or breaststroke kicks. Initiated from the core and fading out as it reaches my legs, my butterfly kick is present but weak; I call it a “caterpillar kick.” I have a disability, and that disability presents a functional limitation on the way I swim. And yet, most of these impairments cannot be taken into account when I reach the classification table. It is possible to class into Paralympic sport on the basis of secondary impairments: the damage caused by my hip dislocations and the muscular issues I experience as a response to my joints’ instability have created impaired muscle power adequate to class me into wheelchair racing at the national level, but every time I go to classification, my heart races — not just from my dysautonomia (also a disability that can’t be taken into account), but because I never know if my secondary disabilities will be enough for me to compete as the disabled athlete I blatantly am. Hypermobility and joint instability are explicitly excluded from the list of eligible impairments the International Paralympic Committee (IPC) accepts. They have never published any rationale establishing a scientific or medical basis for this exclusion, so discussion of why EDS and related disorders are excluded is purely speculative. EDS athletes are outraged by our exclusion, and rightly so, but to understand why disabilities like ours are excluded and why there is seemingly no sign improvement on the horizon, we should look at the current state of disability classification. Swimming is an excellent example of the garbage nightmare of Paralympic classification for physically disabled athletes, and a particularly pertinent one for athletes with EDS, as it’s often friendlier to our bodies than most and therefore something many of us might try if exploring competitive sports. It is a sport where races can come down to tenths, if not hundredths, of a second, so dividing athletes into appropriate classifications is key to ensuring a competitive and fair race, rather than one where mildly impaired athletes constantly outswim those with significantly involved disabilities. A swimmer whose performance is mediocre in their class could earn world records if classed down, or conversely, become completely uncompetitive if classed up. Although disability exists on a spectrum, the athletes are chopped into ten distinct categories where S1 (S for Swimming) has the most significant impairments and S10 the least among the physically disabled competitors (there used to be more than ten categories, but it made for bad TV and too many races and records). In theory, all S7s, for instance, should be equally capable of winning based on athleticism alone; in practice, there are “high S7s” who hover close to S8 and might even be classed back and forth between the two categories, and “low S7s” whose performance more closely resembles an S6 than their high S7 competitors. This system creates a prime environment for classification cheating: athletes with certain kinds of disabilities might represent themselves as more disabled during examination than they are in order to earn a more favorable classification, then proceeds to race fast and destroy the competition. 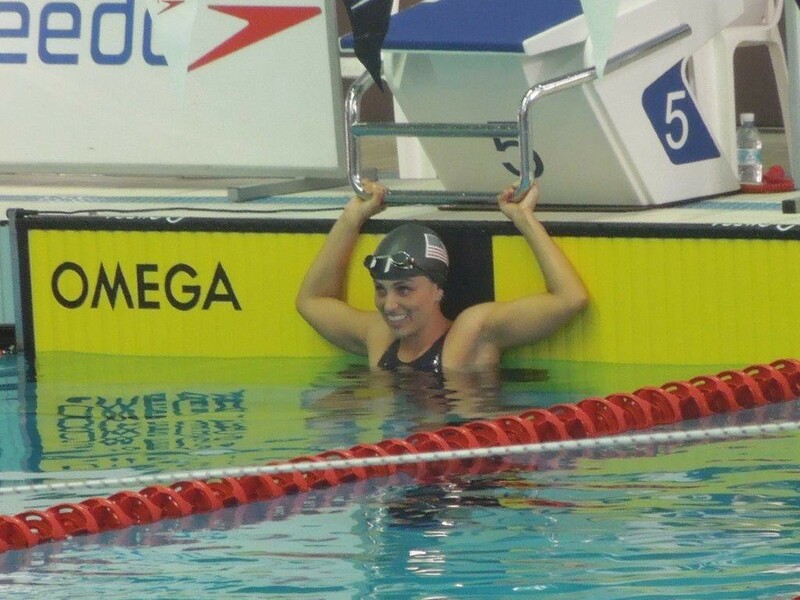 Australian swimmer Maddison Elliott has been a prominent target of these accusations: in 2015, she swam her 100m backstroke observation race in a time of 1:25.42, significantly slower than her previous racing times, and was classed down from an S9 to an S8 on the basis of that swim. Later that same meet, when competing, she swam a personal best of 1:17.93 to earn a gold medal, an improvement of almost 10%. That magnitude of fluctuation in time is rare in elite swimming, especially from an athlete whose disability is static, not variable in nature, and in the context of such dramatically faster times, there have been widespread accusations of intentional misrepresentation. Nonetheless, in a recent report, IPC Swimming has declared that in its review of 16 cases, there was insufficient evidence to prove intentional misrepresentation “beyond a reasonable doubt.” In fact, in the 80 cases reviewed across six sports, the IPC did not find a single instance of intentional misrepresentation. To critics concerned by the prospect of intentional misrepresentation, this suggests either inadequate enforcement or active cover-up, much the same way that doping in sport is downplayed to avoid tarnishing the reputation of the sport. But the very fact of this debate illustrates the vulnerability of Paralympic classification: either cheating is rampant and rules are, intentionally or unintentionally, not being enforced, or cheating is as nonexistent as the IPC declares, and the reputations of athletes are being unfairly besmirched. Obviously, only some kinds of impairments lend themselves to this kind of cheating: amputees and athletes with short stature have the kind of visible impairment that makes intentional misrepresentation impossible, while athletes with neurological or muscular impairments might play at greater muscular weakness or poorer coordination than they experience at their best. This is a double-edged sword: athletes with these types of impairments might be able to cheat their classifications, but because they can do so, they are more likely than their visibly impaired counterparts to be accused of misrepresentation even if their wins are wholly legitimate. In an environment where accusations of intentional misrepresentation are already rampant, and where issues around classification legitimacy have a demonstrable negative impact on the sport, EDS may seem like a perfect candidate for intentional misrepresentation. Hypermobility presents a basic mechanical disadvantage in almost all Paralympic sports, including swimming: it takes more muscle power to keep a hypermobile limb rigid against resistance and in the correct position as it moves through the water than a limb whose joints have a higher level of natural stiffness. Flexibility is necessary for good stroke technique, which is why hypermobility has traditionally been considered an advantage (perhaps a factor in its exclusion from Paralympic eligibility), but our hypermobility is “too much of a good thing:” it is, by definition, a level of mobility that causes musculoskeletal problems. That is the mechanical disadvantage assessed by the Beighton scale, which measures hypermobility, and would technically be true even of people with “benign” hypermobility like dancers and gymnasts. Hyperflexible gymnasts would make lousy runners and swimmers because the ideal body for gymnastics is too bendy to hit that sweet spot of mobility and rigidity that swimmers need. There are no disability sports that reward hypermobility, benign or otherwise, the way gymnastics does; in all of them, our impairment does lead to a disadvantage and can be demonstrated on physical exam. But that level of hypermobility-induced mechanical disadvantage often represents only a fraction of our functional limitation in sports performance. Many of us might move in ways that protect us from injury, for instance, but that doesn’t occur with perfect replicability that can be demonstrated on physical exam. Someone with paralysis who can’t stand, can’t stand every single time. I can’t stand because 9 times out of 10, Something Bad happens, so I don’t stand. But that’s a very different kind of Not Standing, and likewise, it is difficult to demonstrate how those limitations impact my ability to swim — often, I lack the orthopedic knowledge to explain the precise mechanism; I only have knowledge gained by practice that certain kinds of movement are bad for my body and cause injury and pain. Given the concerns around intentional misrepresentation, it is understandable that classifiers do not take our limitations on faith (for instance, if I were to tell the classifier that I can’t stand because it provokes injury). But showing classifiers the consequence of ignoring our limitations is a problem too: should we be proving our impairment to classifiers by demonstrating our joint instability and risk injuring ourselves immediately before a competition? It is difficult to demonstrate our impairment in a way that distinguishes us from benignly hypermobile gymnasts without endangering ourselves. We shouldn’t be required to cause ourselves pain or injury. And some aspects of Ehlers-Danlos that create functional limitation are entirely subjective. Pain and fatigue certainly affect our sports performance — in fact, for many of us they make it difficult or impossible to participate in sports at all! — but they are the kinds of things that cannot be demonstrated on physical exam, only experienced by us and reported to our medical professionals. Should we ask Paralympic classifiers to take these symptoms into account when it would effectively require taking us at our word? And in a competitive athletic environment where there is a clear incentive to cheat and where cheating likely does occur, is “taking us at our word” truly a fair solution? Accusations of impairment-related cheating are galling to disabled people in a way that their Olympic counterparts do not experience and that nondisabled classifiers and medical professionals cannot entirely relate to: disabled people face accusations of fraud with everything from receiving benefits to parking our cars. Folks with Ehlers-Danlos often go years being told that our disabilities aren’t real, and even when diagnosed, the nature of our disorder makes it difficult to “prove” our disability in all sorts of situations. Furthermore, because our disability affects our function differently from more common and better-understood disabilities, we are particularly hard-hit by ableist assumptions that armchair clinicians can accurately assess our disability simply by looking at us. The IPC fears that its legitimacy will be tarnished by fraud, and so it sets a high epistemic standard to prove that a disability impacts sport performance, so high that our disability is not “provable” enough to qualify us in their eyes. In doing so, the Paralympics unwittingly evokes a long history of disability fakery that disabled people as a whole are sensitive to, and people with Ehlers-Danlos feel acutely. The difference between benefits fraud and classification fraud is that classification fraud may actually happen. Benefits fraud is incredibly rare and difficult due to onerously strict enforcement and eligibility requirements, despite propaganda to the contrary in places like the UK where the incidence of benefit fraud has been exaggerated as a pretext to restrict eligibility with unreasonable harshness. By contrast, classification fraud is much easier, enforcement much more lax, and the incentive systems aligned such that it is worth taking into account in the design of the classification system, if only to remove the appearance of impropriety and thereby protect the reputation of athletes whose impairments leave them vulnerable to such accusations. As someone with a modern disability politics, one that believes that “sport for all” should be more than an IPC motto but a reality, it is clear to me that athletes with EDS should be included. That including people with all sorts of disabilities is a good in itself that allows our sports to be truly representative of the diversity of our community. There is little rational basis for our exclusion that does not also apply to athletes with disabilities that are already Paralympic eligible. What isn’t clear is how to do so fairly and while minimizing the systemic risk that benignly hypermobile athletes without EDS misrepresent themselves, or that athletes with EDS misrepresent themselves as more disabled than we are. I don’t want to put EDS athletes on a pedestal: I believe that we are no better or worse than any other athletes, which means that some of us would use our disability to cheat and most of us would not. The classification system already has serious legitimacy problems, problems that brew beneath the surface of Paralympic sport only because the IPC keeps a tight lid on them in order to avoid attracting attention to them. Even if intentional misrepresentation is less common than many suspect, the ubiquitous culture of suspicion already sullies Paralympic sport and makes it hard for athletes without highly visible disabilities to have their victories celebrated, and for phenoms with neurological impairments to dominate their sports classes the way athletes like Natalie du Toit did, rather than have their dominance used as proof that they are in an inappropriate classification and find themselves put in a new class or removed from Paralympic sport altogether. Disability sport is hard. It is no trivial task to create an inclusive Paralympic movement that structures competition between true peers while minimizing the possibility for impropriety or unfair advantage. I challenge you to try: we need as many minds on this project as possible, if only to wrest control of the discourse from medical professionals and back into the hands of disabled people ourselves. Sport is an important part of disability culture, and it is a part of our culture worth doing well. Worth making better. Athletes and non-athletes alike, disabled people with EDS and without, we should all raise our voices and make it clear that the Paralympic movement is our movement, by and for disabled people, and that it should reflect our community, even if it’s hard to ever get it quite right. We can do it, we must do it, and we will do it — together. For me, I’m still not sure what to do. After years of waiting and hoping that the classification system would change to be fairer and more accommodating to me, I have already lost many of my prime competitive years. It is hard to train day after day for a sport where the prospects even for simple competition are so slim. Maybe I have to take the risk. But I know that, no matter what, I’m going to keep fighting. Information on the policy for IPC inclusion can be found here. Please consider writing to your national Ehlers-Danlos organization to tell them that Paralympic eligibility should be an organizational advocacy priority. You do not need to have Ehlers-Danlos yourself to do this: the more voices, the less this issue can be ignored. Media stories, including social media, and petitioning are all appreciated as we leverage the momentum of the Rio Paralympics to fight for inclusion. If you have a different disability type that is also Paralympic-ineligible, please speak out and offer information for your own national or international disability organization so that we can work in solidarity for the inclusion of as many disabilities as possible into the Paralympic movement.